Troop levels at the US-Mexico border have essentially reached their upper limit — at least for now — a top Pentagon official said Thursday. Some 5,900 active-duty troops are now stationed along the border, in a contentious deployment that President Donald Trump ordered ahead of the midterm elections. 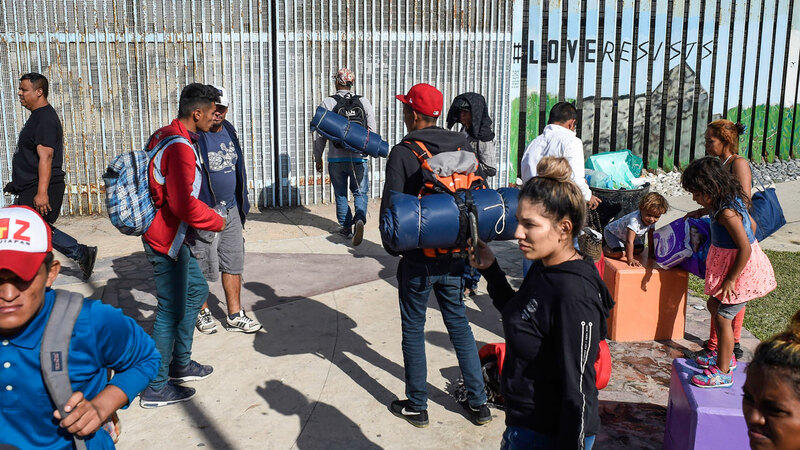 In the days before the key vote, Trump had said as many as 15,000 troops could be sent to the border, but the number seems set to stay much lower. We have “pretty much peaked in terms of the number of people that are down there,” Deputy Defense Secretary Patrick Shanahan told Pentagon reporters. In addition to the 5,900 active-duty forces, another 2,100 or so National Guardsmen have been deployed to support operations at the border, bringing the military presence to about 8,000 all told. Critics have said the deployment is a waste of money and is not needed, especially as its focus is on preventing a main caravan of migrants that might not even reach the border until after December 15. The Pentagon still has not provided a cost estimate, but US media say the mission’s costs could stretch well beyond $200 million.